Die Casting, Centrifigual Casting, Investment Casting, and more. Casting is an economical mass production process in which molten metal is poured or forced into a mold. The mold contains a hollow cavity designed to produce the desired part shape. Once the metal has solidified, parts are removed. Metal cast parts emerge at shape or near net shape and require little if any post-finishing work. The process is ideal for producing complex parts in high volumes. No matter what the size or shape of your part, chances are it can be made through one of the metal casting processes. SourceHorizon enables you to source Die Casting, Centrifugal Casting, Investment Casting, and other casting services from well-qualified suppliers. Die casting produces parts by forcing molten metal into a die (mold) under high pressure. Because pressure is maintained until the metal cools, the process can be used to produce accurately dimensioned cast parts that have complex interior features. There are two processes: hot chamber, and cold chamber. The melting point of the non-ferrous alloy dictates which process is used. For example, aluminum has a high melting point and requires the hot chamber process. Zinc has a lower melting point and is used in a cold chamber. 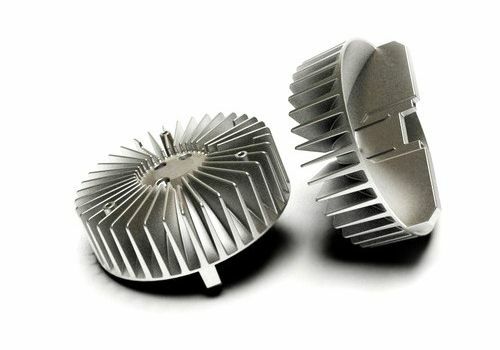 Die cast parts are used in a wide variety of industry applications. Part size and weight vary greatly. Part examples include metal housings, pistons, gears, and valves. Due to tooling costs, die casting is best suited to high production. 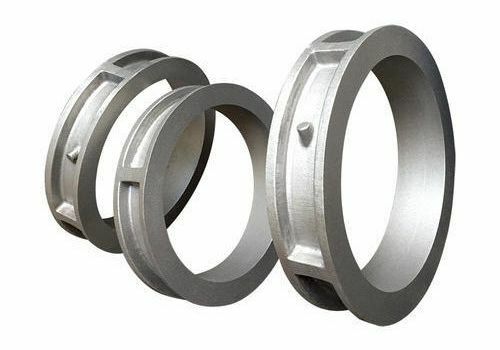 Centrifugal casting is a metal casting process that uses centrifugal force to form cylindrical parts that are typically hollow. Molten metal is poured into a vertically or horizontally oriented die (mold) spinning at high speed. Centrifugal forces work to efficiently cast external structures, and provide smooth exterior surface finishes. Imperfections, if any, are typically found on part interiors. 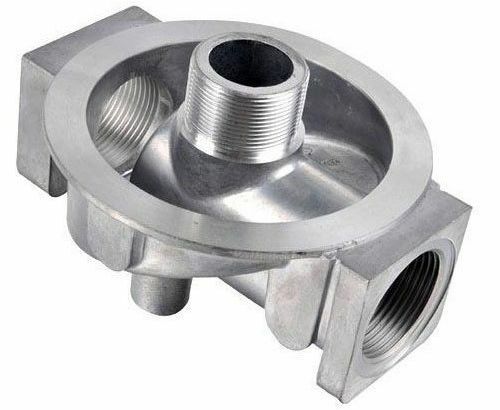 Centrifugal cast parts typically require significantly reduced post-processing. Parts may be cast from ferrous metals such as low alloy steel, stainless steel, and iron, or non-ferrous alloys such as aluminum, bronze, copper, magnesium, and nickel. Part application dictates material selection. Centrifugal cast parts are used in a wide variety of industries, including aerospace, defense, and other high-tech industries. Intricate Features with Close Tolerances. Investment casting utilizes ceramic molds that have been made through the lost-wax process. A wax model with the desired part characteristics is formed and then coated with multiple layers of ceramic slurry. Once the ceramic has dried, the wax is melted away, leaving behind a perfect mold chamber. A wide variety of molten ferrous and non-ferrous metals can be poured into the ceramic mold to produce the end part. Investment casting gives engineers freedom in their designs since complex features, smooth finishes, and close tolerances may be achieved. A wide range of parts can be produced. Examples include auto parts, turbine blades, agricultural machinery parts, and surgical instruments. Complex shapes and close tolerances are achievable because molten metal is forced to all regions of the mold. Beyond mold or die creation, the process is automated and is well-suited for the economical mass production of parts. Virtually all ferrous and non-ferrous metals may be cast enabling you to leverage their mechanical properties. Get Quotes for the Following Casting Processes! SourceHorizon.com suppliers offer a broad range of casting services. Find qualified suppliers of Casting services!